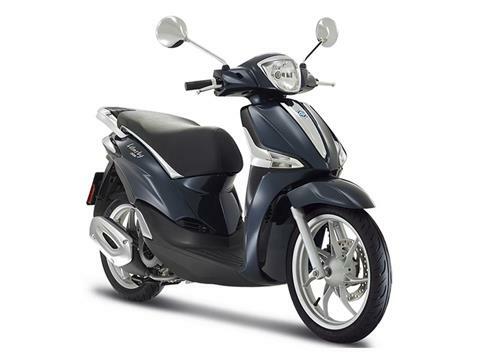 For those seeking something a little more powerful than the 125 cc version, Piaggio developed Liberty 150. Whilst the look and bike itself are identical to its less powerful twin, what's different is the fuel-injected single cylinder engine which, like the rest of the family, benefits from i-get (Italian Green Experience Technology) but delivers a punchy 9.6 kW at 7750 rpm and torque of 13 Nm at 5250 rpm meaning it has plenty of go in all conditions whilst offering great safety in the form of the anti-locking system. On the environmental side, it also stands up to scrutiny, conforming with Euro 4 standards. 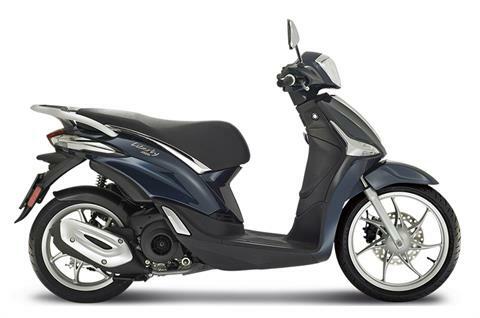 On the aesthetics front, it has the same elegant look as the 125 cc and the large diameter tyres (16" in front and 14" at the rear) which are such a key element in the design and are a perfect foil to such distinctive visual features as the vertical decorative element on the front shield. Last but not least, the Liberty 150 offers plenty of space for luggage, shopping and the like with a glove box in the rear shield and an underseat compartment large enough to hold a full-face helmet. 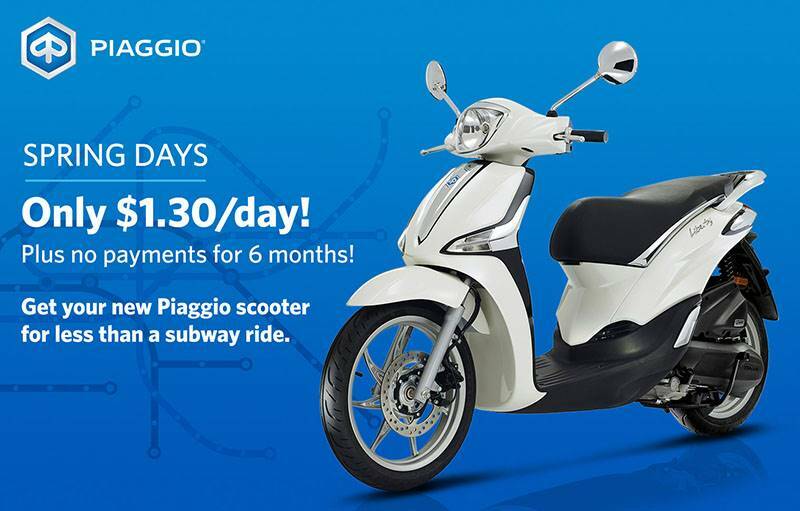 A SCOOTER MADE FOR TWO: The driver of the Piaggio Liberty 150 can be sure of experiencing maximum comfort with the perfect seat-footwell-handlebar combination thanks to a seat height of 787 mm, and a front shield which provides plenty of protection, even in rainy weather. The passenger is not forgotten either, with comfortable, solid fold-away footrests and a long, roomy seat. 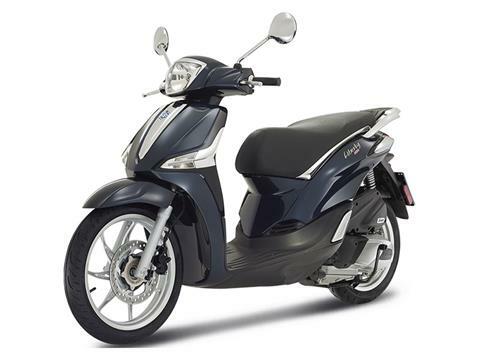 FIRING ON A FULL CYLINDER: The single cylinder which powers the Piaggio Liberty 150 can get up to 9.6 kW at 7750 rpm and has a torque of 13 Nm at 5250 rpm delivering a performance which makes this scooter not only perfect for getting around town but also for longer trips, such as the typical home-office commute. 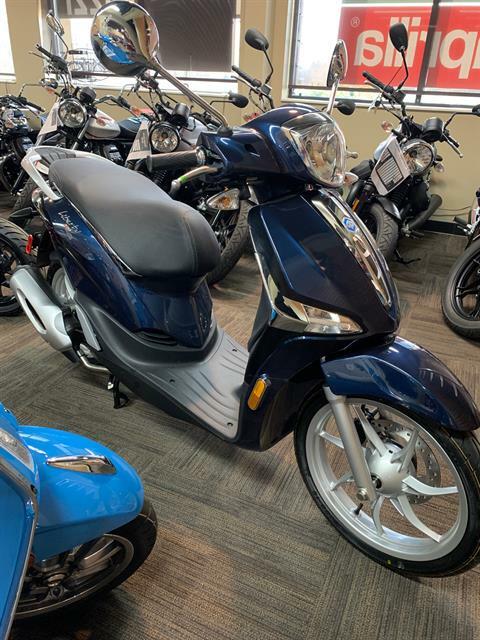 And, despite the power, it is extremely economical when it comes to fuel consumption and harmful emissions, certified Euro 4 by the anti-pollution compliance body. ATTENTION TO DETAIL: Nothing is left to chance with the Piaggio Liberty 150 from the LED parking lights to the instrument panel which cleverly mixes analogue and digital technology where the large speedometer takes pride of place amongst the LCD multi-function panel Two compartments create ample storage with a lockable glove box under the rear shield and a space able to easily hold a full-face helmet beneath the seat (accessible by simply pressing a button on the handlebar).